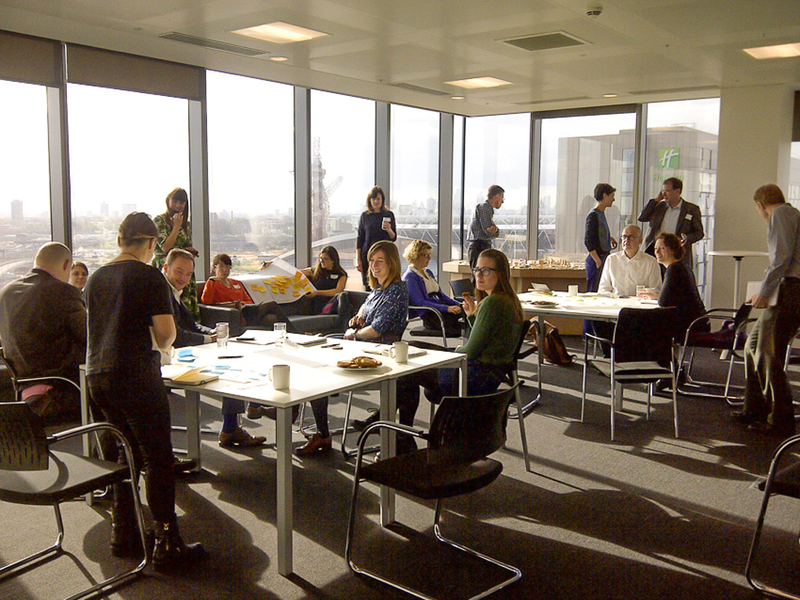 Along with our lovely friends at Mend, we recently brought together commissioners, policy experts and practitioners from the field of engagement to think about barriers and solutions to improve the way in which engagement is commissioned. 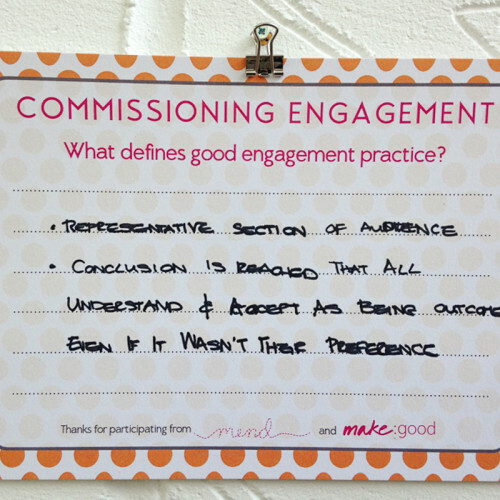 Engagement processes are embedded within our practice but there is no shared understanding across the industry as to what good engagement is, why it might be commissioned and some pitfalls to avoid. 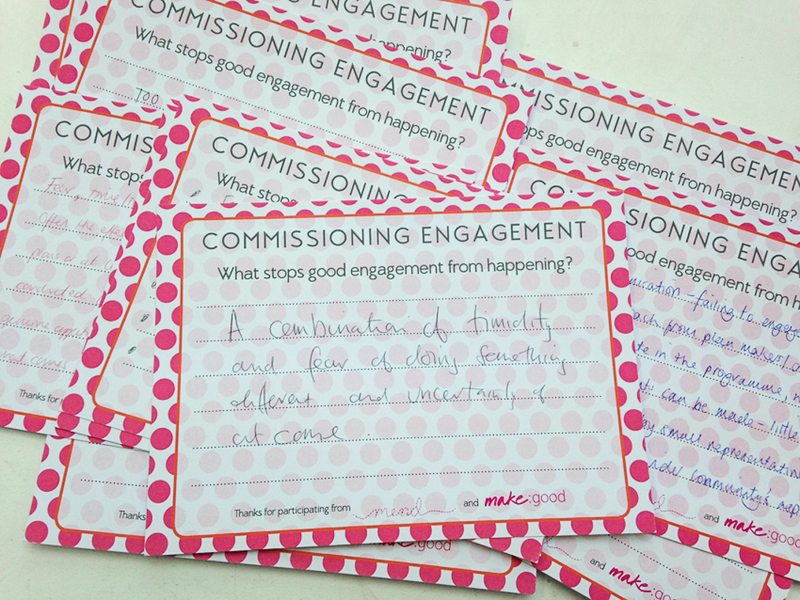 We want to tackle this and here is some of the collaborative thinking from our workshops on what good engagement means and overcoming barriers to commissioning it. 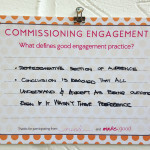 WHAT DEFINES GOOD ENGAGEMENT PRACTICE? 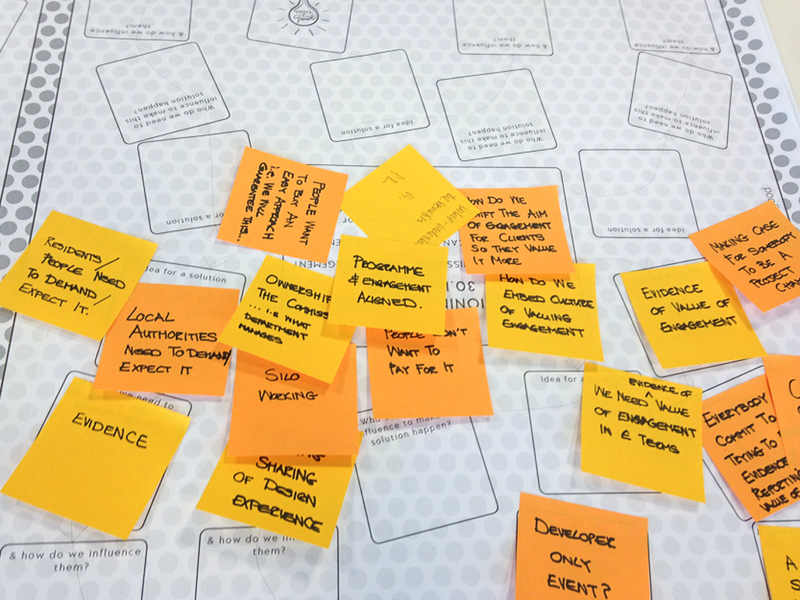 Good engagement is a genuinely participatory process, prioritising inclusivity, accessibility and transparency. It has a clear programme with clear objectives, made feasible through sufficient resources and capacity. All involved in the process internally are on the same page, working towards mutually beneficial outcomes for both client and community. 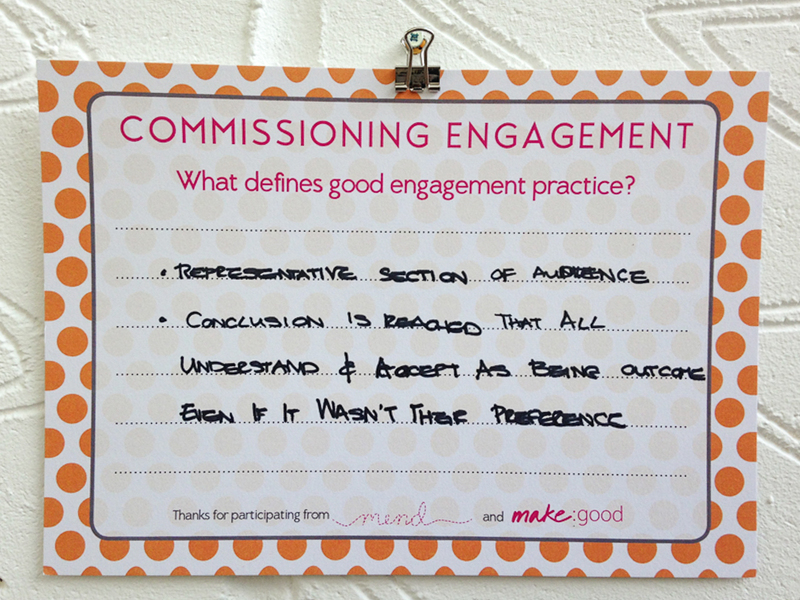 Good engagement practice is open for the expression of diverse views from a representative, unbiased section of the audience. The process has real influence: people engaged feel their views have been listened to and that their involvement has made a difference. To ensure this, good engagement needs to happen early on. As enablers instead of directors, consultants encourage and empower a genuine sense of community ownership and leadership in both the process and the legacy. 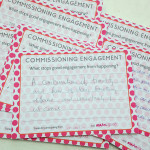 There are barriers in the commissioning approach, within the process of engagement and within the community itself. Obstacles that emerge in commissioning include fear, lack of interest and lack of clarity. 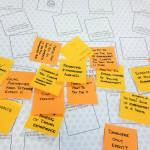 Fear of sharing information, disrupting a process, designing by committee, repeating difficult experiences, spending money and the unknown all form barriers stopping good engagement from being commissioned. 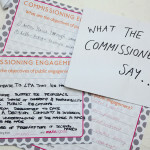 Lack of interest on the part of the client team stems from a wider lack of value of public engagement and leads to further barriers to the quality of the process, such as commissioning engagement too late and not building in capacity for change and participation. This resulting agenda-based and closed engagement is often known as ‘tick-box’, reflecting the priority of client success. Lack of clarity involves a failure to define parameters for change or influence in the brief, resulting in a confused and poorly executed process. Key barriers within the process itself involve lack of communication (both internally and externally), inappropriate methods, lack of skills and resources, and a lack of honesty. Obstacles from the community may include a bias user group dominating the process, factions within the audience themselves and a general mistrust in engagement. 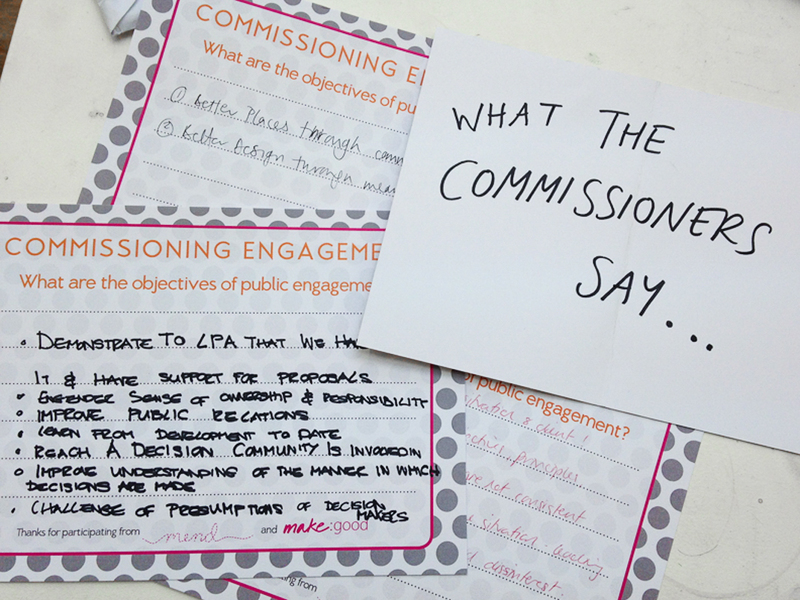 However, barriers within the process and the community are inherently linked to the effects of those created in the ‘commissioning moment’. 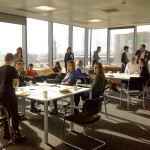 Good public engagement helps improve places and decisions through holistic community involvement, influence and ownership. It entails understanding a place and its community better to ensure responsive, inclusive and successful change. The process is always contextual, but the positive objective of public engagement will be informed and improved outcomes for all. Do you agree or disagree? Drop us a line and let us know!